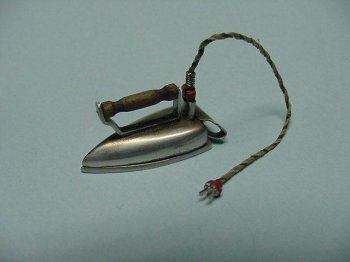 This is a wonderful vintage "electric iron"............so realistic! It is 1" long. A great accessory for your dollhouse! Made by Ulus.